The vast Philippine archipelago is a massive playground for adrenaline-junkies in constant search of fun and adventure. The varied landscapes and rugged terrains are ideal formyriads of outdoor activities that you can enjoy alone, with friends or with family. There is certainly no shortage of activities to do in the country. There is no need to venture into the farthest island just to experience an exhilarating adventure, but when you do, it is important to consider time constraints when planning for your adventure tours. Transfers in the country are a nightmare as transportation from one mainland to another takes a lot of time and money. Safety is also another issue that you need to always take into account as terrains can be tricky and unpredictable. 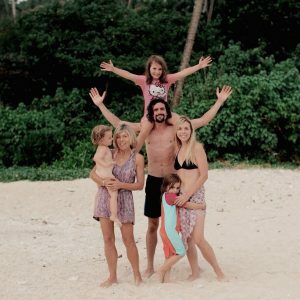 Therefore, to ensure a hassle-free and safe adventure, many families choose to book an all-inclusive vacation package with a private guide. Of course this costs more than doing it yourself but it will really help things run smoother and allow you to focus on enjoying the many wonderful activities the Philippines has to offer. Canyoning is a sport or an activity that involves hiking through canyons and then descending into a fast-flowing mountain stream by jumping, swimming, rock climbing or rappelling and being carried downstream at high speed. There are many places and tourist spots in the Philippines perfect for canyoning but Badian in Cebu is one of the most popular and highly challenging. This particular activity involves a lot of technical climbing, rope-works, swimming and jumping along canyons from as high as 10 meters. The activity takes 3-4 hours culminating at the beautiful Kawasan waterfalls. Another more difficult canyoneering activity awaits in Montaneza River (also in Cebu) where participants have to abseil a set of 5 different waterfalls as high as 30 meters with an overhang. The tour also includes a lot of jumping and climbing with a hot spring at the end of the tour. While many locals offer these tours for cheap, they don’t have the best gear and are not very safety minded. 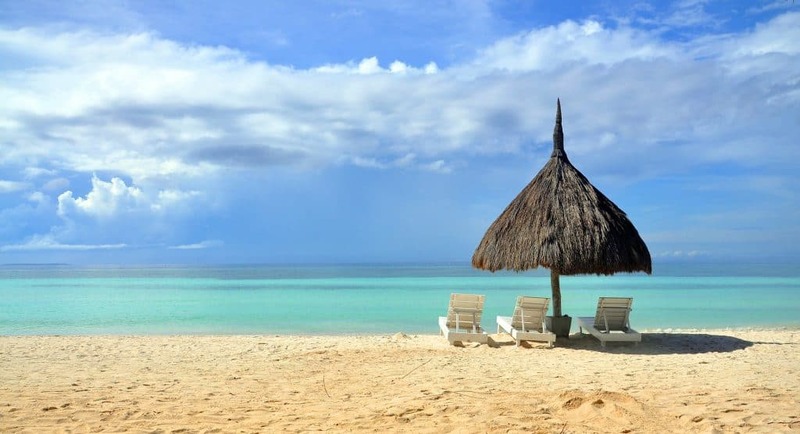 It might be worth it to spend the extra money by going to one of the foreign tour operators in Moalboal instead and booking these tours with them. The Philippines has plenty of free-flowing rivers with different elevations and so it is not hard to find a perfect place for river rafting depending on your experience and skill-level. Beginners can enjoy white water rafting in popular destinations like Pagsanjan, Laguna and CDO in Mindanao. White water rafting is a dangerous activity so it is always required to have a guide who knows the river too well. There are four levels of difficulty. The first two consist of a sudden drop in elevation but navigation is not very difficult with occasional rock barriers and cliff walls. The third level consists of rapids that are trickier with sudden burst of speed and gauntlet of rocks located mostly on river bends. The most difficult type of rapid is the fourth level which combines all three types of rapids into a series of long and difficult set of rapids. This is definitely not available for beginners and navigation is almost impossible without real skill and experience. Along with these stunning lagoons are white-water rapids for serious fun! The country’s geography is perfect for hiking and mountain climbing at every level – from beginners to the most experienced. The mountain trails and the elevation range from easy to the most challenging types. The highest point and the most popular in Luzon is Mount Pulag which is sought-after by climbers all around the world for its amazing sea of clouds. Mount Apo (Davao) and Mount Mayon (Bicol) are some of the most difficult to climb and the latter being the most dangerous as it is an active volcano. Whatever reason you have for climbing mountains, the experience is surely noteworthy and the views on top are priceless. Since some of these are actually active volcanoes, it’s safer to stay alert and update on the news before planning your trek. Only recently Mt. Mayon reached the highest alert levels and thousands civilians had to be evacuated. As an archipelagic country, it is easy to tell that the Philippines has thousands of dive sites. Anilao in Batangas and Puerto Galera in Mindoro offer amazing macro sea life;in fact, the waters of Puerto Galera contain the densest population of marine species in the world according to a research conducted by UP. For more adrenaline-pumping experience, check out one of the best shipwreck dive sites in the world found in Coron, Palawan. Here, you will find dozens of massive Japanese warships that were sunk during the WWI. Dive with thresher sharks and sardine run in Malapascua and Moalboal. You can also dive with the biggest fish in the ocean, the whalesharks in Donsol, Sorsogon. If diving is your passion, try Live Aboard in the Apo Reef (the second biggest contiguous reef system in the world next to the Great Barrier in Australia) and Tubbataha Reef off the coast of Palawan for the most unforgettable diving experience. These liveaboard tours are expensive but the value you got in return can’t be compared to any other diving experience in the country. Mountainous regions always hide away caverns and the Philippines have countless of caves with majority being unexplored and undiscovered. Some caves are easy to explore and others are very difficult. If you are up for a challenge, try spelunking in Sagada, Mountain Province. For adventure seekers there are 5 caving courses that are available but it is required to always have a guide and complete safety equipment. Sumaguing cave short course: It takes 2 hours and it is the easiest. Sumaguing cave has the best and most spectacular rock formations one could ever see. Lumiang Cave Short course: This also takes 2 hours but this is more challenging since Lumiang Cave is one of the deepest caves in the country. Cave Connection: This refers to the 4 hours spelunking experience combining Sumaguing and Lumiang caves. The course starts with a steep descent fromLumiang entrance with ancient coffins and bones and ends at the Sumaguing exit. The course includes a lot of climbing, crawling, rope-works, and sliding down. Balangagan Cave: This course is recent and it takes 4 hours. The rock formations inside are more spectacular than inside the Sumaguing cave. Crystal Cave: This is the most difficult of all the spelunking courses. It takes 6- 8 hours to complete the course and the entrance is so tight and deep that you will use ropes immediately. The crystals inside are jaw-dropping and there will be sections where you need to go through knee-high mud, wade through chest-deep waters and climb huge boulders. Kayaking and canoeing in the Philippines is an ideal pastime. It is relatively easy and doesn’t really require physical skills. It is so rewarding just seating on a kayak or a canoe and just silently paddling in the water taking in all your beautiful surroundings. Kayaks are always available at almost every resort you can find in the country and sometimes it is free for resort guests. The best place for kayaking is in El Nido around the Karts Mountains and idyllic islands. One of the most extreme outdoor activities you can find in the country is jumping off a cliff. It is all about the fall. You can do it basically anywhere in the country. Most people, even children jump off from the top of a waterfall but the most popular place for cliff-jumping in the country is in Aklan called Ariel’s Point. Here, there are 3 major jumping points with varying heights: 5 meters, 8 meters and 15 meters. Other popular spots for cliff-diving are: Fortune Island in Batangas and Salagdoong Resort in Siquijor. Wakeboarding in the Philippines is not very popular yet but it is now starting to gain momentum. There are only a few wakeboarding spots in the country and the most popular one is in Camarines Sur in Bicol region. This type of activity is not something you can do right the first time. It takes a lot of practice until you can eventually pick up your game. This sport or activity requires a high speed boat, strong cable system and effective and safe obstacle designs for ramps and kickers. With more than 7,200 islands, the country is surrounded by big bodies of water namely: The pacific, South China Sea, Celebes Sea, and the Philippines Sea. Each of these offer potential surfing spots when the off shore winds become stronger than usual normally between December and April. Most popular surfing spots in the country are: Cloud 9 in Siargao, San Juan, La Union, Baler in Aurora province and Pagudpud, Ilocos Norte. Out of these, Siargao is the most popular tourist spot regardless of surfing. You can find tons of good hotels for any budget type, and countless beautiful places for day tours. On top of that, it has been voted as one of the best 50 surfing spots in the world recently by CNN. 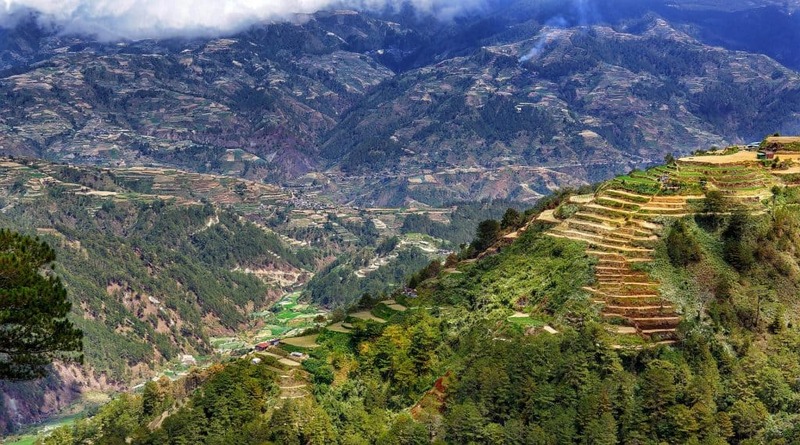 There are many places in the Philippines that offer magnificent trekking opportunities but the one in Banaue is something you will definitely remember for a long time. Banaue is famous for the rice terraces but Batad rice terraces are much bigger, more breathtaking and are included in the UNESCO World Heritage List. You need to allow at least 4 days for this expedition because getting there is really laborious. Walking on the edge of these ancient rice paddies which sometimes cling for hundreds of feet to the steep hill sides is seriously challenging. The trails are narrow and falling on both sides of the trail is not an option (one side has drop of 20 feet at least and on the other side is a deep mud). Opportunities for a walk are endless and you certainly need to be fit in order to do it as the roads or the trails can be very steep and narrow in some places and some even involves hundreds of steep stairs to climb. A 3-day walk from Batad can be arranged to the village of Cambulo and Pula and also to the beautiful Tappiya falls. Want more of the Philippines? Check out my friend Stephanie’s article on the top 10 places to visit in the Philippines! 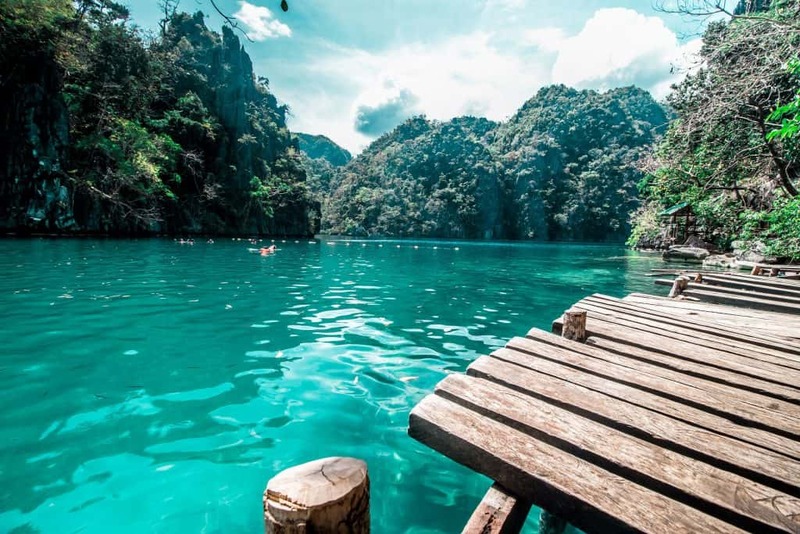 No matter what you like to do, you will find the best places in Philippines to be those that preserve and highlight the abundant natural beauty of the country. I hope this guide has helped you decide the best places in Philippines for your outdoor pursuits and given you some inspiration for your ideal trip!